Malaria is deadly. It’s also easily preventable. 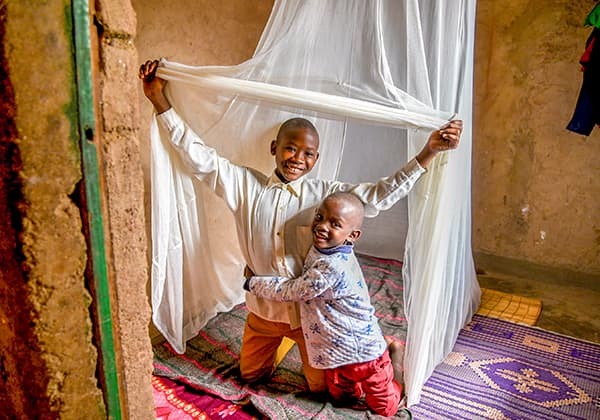 This gift provides insecticide-treated bed nets to a family in need, as well as training to help children and their families avoid infection. When you give one of each of our health gifts, you are ensuring that children and their families have the basic necessities they need to stay healthy! Natural disasters are devastating, especially when a family’s cherished home is destroyed. You can help rebuild homes for children who have lost theirs in flash floods, extreme rainfall or landslides. Malnutrition at an early age can stunt a child’s growth for life. Your gift will provide three- to five-year-olds in Colombia who are acutely malnourished with balanced meals, nutritional supplements and doctor visits, along with nutrition education for their parents.